Spring is officially here, even after an unexpected snow day! Everyone is coming out of hibernation ready to be active again. For me this means I can finally get outside to run again, I just don’t like the treadmill. Regardless of your plan for fitness this Spring, Stonyfield has the perfect companion to help you reach your goals. Stonyfield Greek and Chia is my new favorite food. Smooth, delicious, and filling, the Greek and Chia blends are helping me to stay on track with my personal health goals for 2015. It is available in 4 flavors- Blood Orange, Pear, Blueberry, and my favorite Red Berries. This Greek Yogurt is organic creamy goodness now with the added boost of all Chia Seeds have to offer. I know some of you are thinking about Chia Pets. Maybe even singing the song, no worries I do that too. Yes these are those Chia Seeds, don’t freak out. They aren’t weird and you won’t grow green sprouted hair if you eat them. Pinky promise. If my kids love them you will too. Remember what your mother said how do you know you don’t like it if you haven’t tried it yet? Wisdom. Chia Seeds are starting to show up everywhere, with good reason too. Chia Seeds are packed with protein, Omega-3, dietary fibre, and health benefits ranging from bone health to fighting off belly fat. I love to snack on these while I work! Find Stonyfield Greek + Chia at Whole Foods, Super Targets, Natural Grocers and other retailers near you. 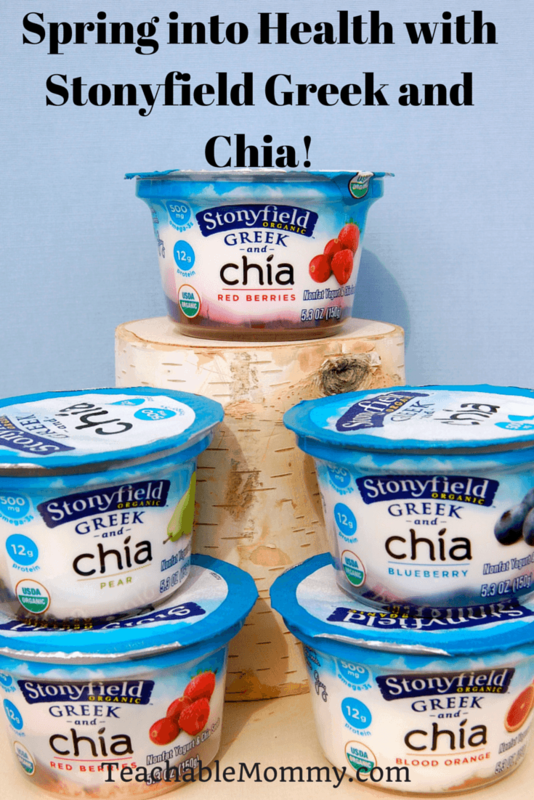 Which Stonyfield Greek and Chia flavor do you want to try first? Celebrate National Pancake Week with Greek Yogurt Pancakes Featuring Stonyfield! Not really a big fan of yogurt. However I have not tried this brand as yet. Some are tastier than others which makes a huge difference to me. Will have to check out this brand. Thanks for sharing. I had not heard of the new Chia yogurt. I would love that! We love Greek Yogurt here!! these sound amazing. I’m all for a good healthy snack. I love Greek yogurt! I haven’t tried the Chia ones yet! I’m going to have to look for this- I want to try the chia! What an awesome yogurt combination. I’d love to try the pear flavor! I haven’t seen these yet in my stores. 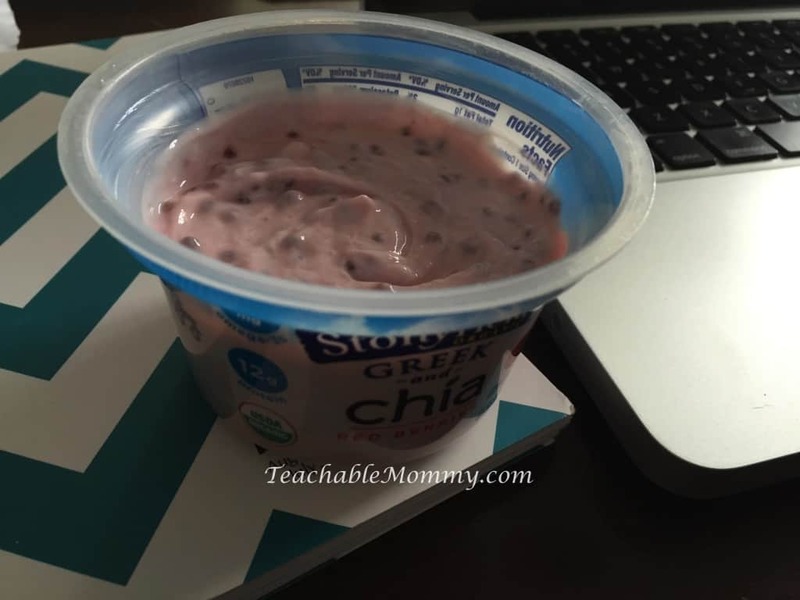 I love Greek yogurt and adding chia is an awesome idea! I saw this in the store and I wasn’t sure about it, but now that I see it comes in pear flavored, I’m totally getting some next time! Stonyfield has the best tasting products! I will definitely be checking this out! I love their organic products. Blueberry is one of my favorites, and the Greek sounds so good! I love chia seeds, they are so nutritious. I am going to look for that yogurt at the stores.